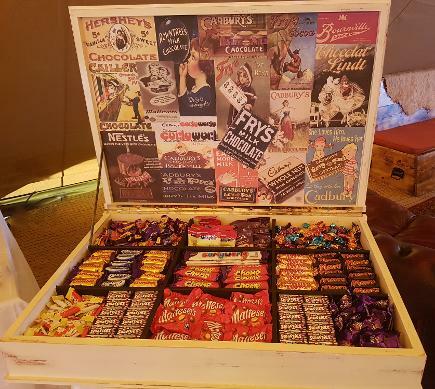 Whether you are looking for a Icecream Tricycle, Sweet Candy Cart, Sweet Ferris Wheel, Our Sweet Chocolate Box, Light up LOVE / MR & MRS Letters, Giant Outdoor Game's, 9 Hole Crazy Golf Course, Giant Deck Chair, Photo Lectern, Post Box or a Wishing Well we can help add that extra special touch to your day. Here at Simply Sweet Candy Co, we are a family run business based on the Essex coast. We will cover Essex, Kent, Suffolk and surrounding areas. Our aim is to work with you to help make your day a special one. Whether it`s for your Wedding Day, Anniversary, Engagement, Child / Adult Birthday Party, Corporate Event, Xmas Party or whatever you are celebrating with a choice of our stunning items we can help make your day that extra little bit special all of which are eye catching features and will have your guests talking about for a long time. Contact us now to see how we can make your Wedding or Party that extra bit special..